Hello H&H readers! 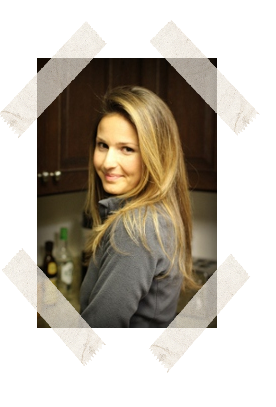 My name’s Sarah and I blog over at Making Thyme for Health. I am always looking for tasty and time savvy meals that allow me to get outside and enjoy nature while still eating healthy. This salad is a perfect example of that kind of meal. Not only is it incredibly easy but it is also full of flavor. The dressing is super simple and is made with a honey, lemon juice, and olive oil, which perfectly masks the bitterness of the kale and enhances the flavor of the mango. I hope you’ll give this nutritious salad a try and then get outside to enjoy life! This sounds like a delicious recipe! I've got every intention of eating more summer salads. Trying to work more kale in as well! I've recently become a fan of kale. This looks like I could be pretty tasty. I might give it a try. Andrea @ be-quoted.com visiting from SITS. It took me a few years to really like it, but it's so good for you it's hard to deny it for long! LOL, I hear ya on the laziness! Sometimes being raw just seems like the path of least resistance = no cooking.